Experience Tinos Holidays In Greece! Tinos holidaysis one of the most popular options for anyone who wants to explore the Greek islands. Tinos is a small island located in the Aegean Sea, and it is part of the famous Cyclades islands. It is popular all over the world due to the icon of Virgin Mary that was found on the island. The icon attracts thousands of pilgrims every year. 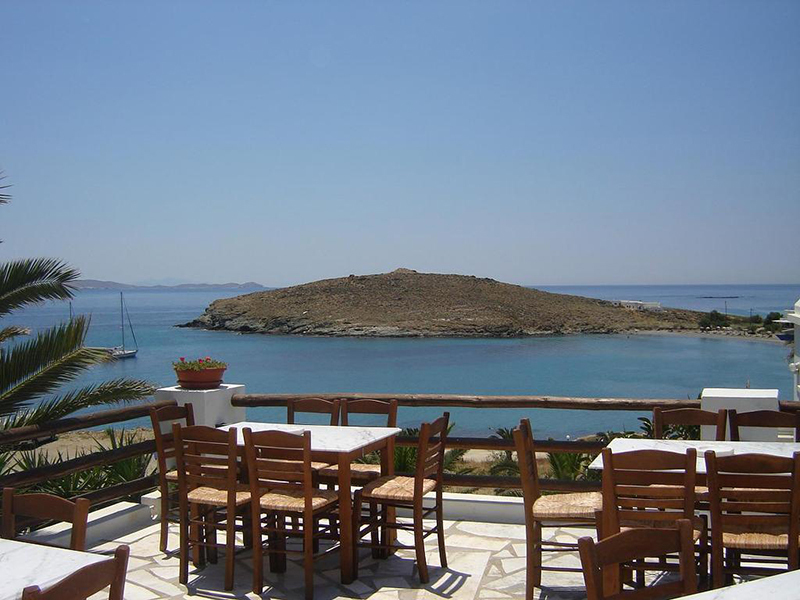 Looking for accommodation in Tinos? Check out Luxury Holiday Villas in Tinos! However, being a sacred site is not the only reason that Tinos is famous. The island features a unique beauty due to its beautiful rocky landscape, spectacular beaches with blue waters, and marble-decorated villages. Those villages are hidden in bays, built on hillsides, or patched on top of misty mountains. This amazing natural beauty that the island exudes makes it one of the perfect destinations in Greece. If you are considering visiting the island, below is a guide on how you can spend Tinos holidays. 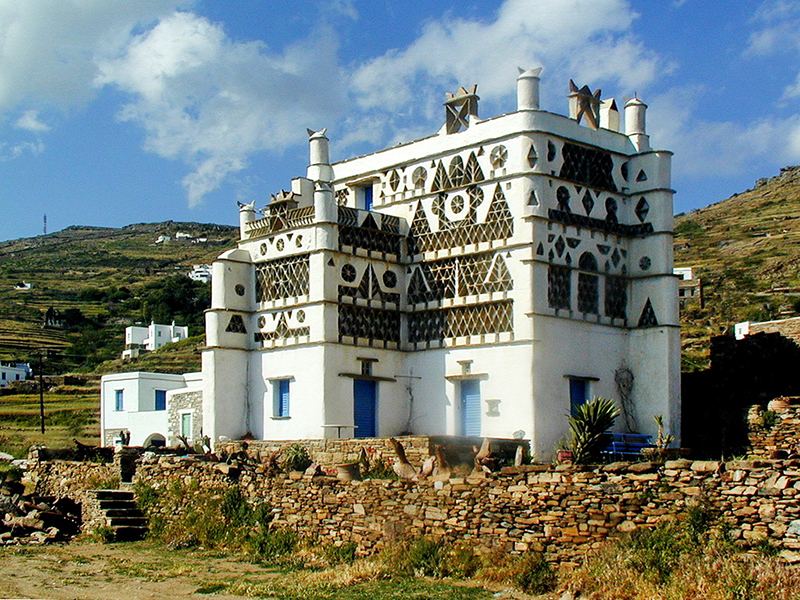 A visit at the beautiful villages of the island is the best way to spend your Tinos holidays. 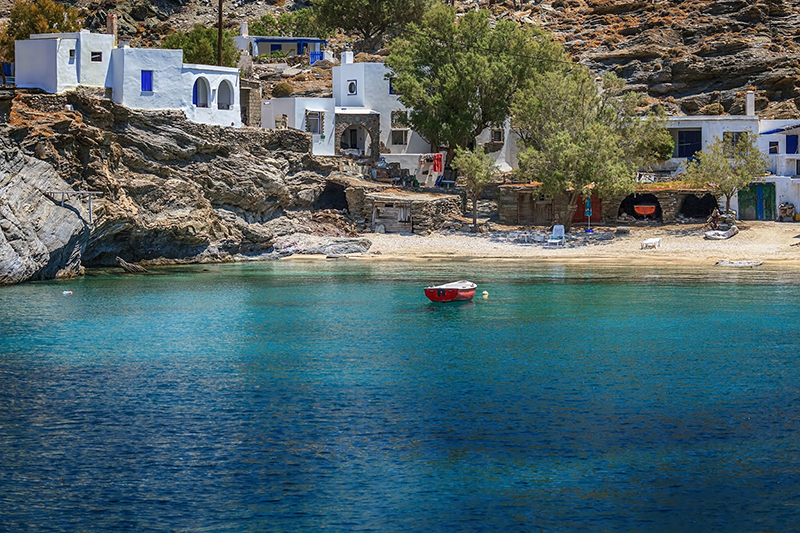 The island is considered to have some of the most beautiful villages in the Cyclades complex. Their beauty makes them look like ornaments decorating various slopes and valleys of the island. 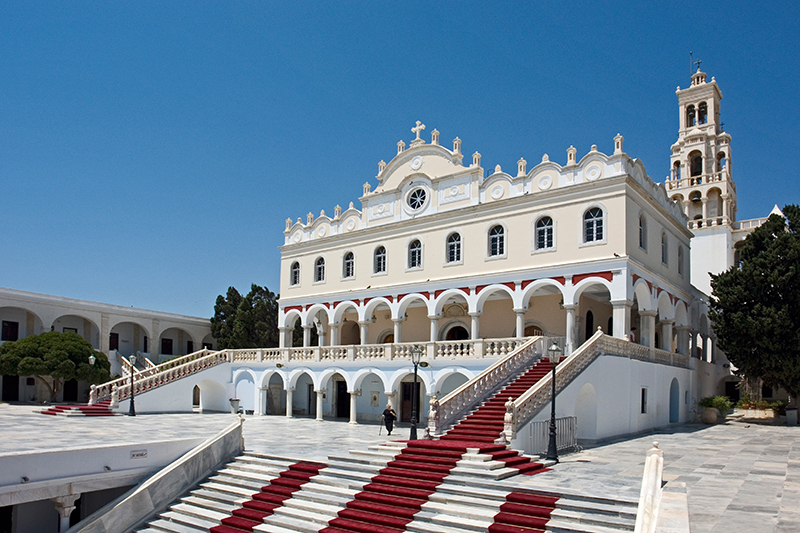 The religious fame that the island enjoys is due to this neoclassical church, which hosts the icon of Virgin Mary. The icon was found in the Church’s ground in 1822. The church was built using marble, and it has a very beautiful and intricate design. It stands on a very nice courtyard that is surrounded by a number of arcades. Also, in the area around the church, stands out a museum that exhibits various religious artifacts and paintings. The Archaeological Museum is located in the heart of Tinos, just a short distance away from the Church of Panagia Evangelistria. The museum houses important findings that have been discovered on the island. Some of them are the large clay storage jars that were used in 8th Century B.C. Other exhibits include architectural parts and statues found in the ancient temple of Poseidon and currencies used during the ancient Greek era. Enjoying the rich artistic tradition of the island is another great activity you can deal with, while you are on Tinos Holidays. 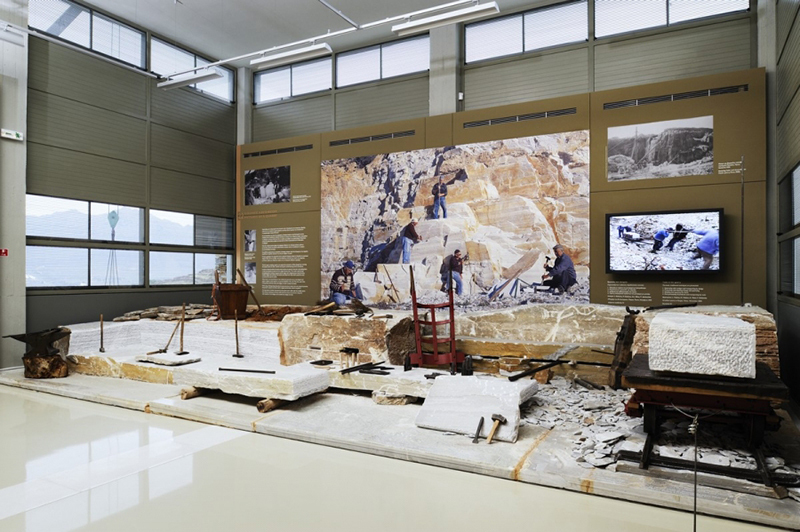 The island is famous all over Greece for marble sculpting. 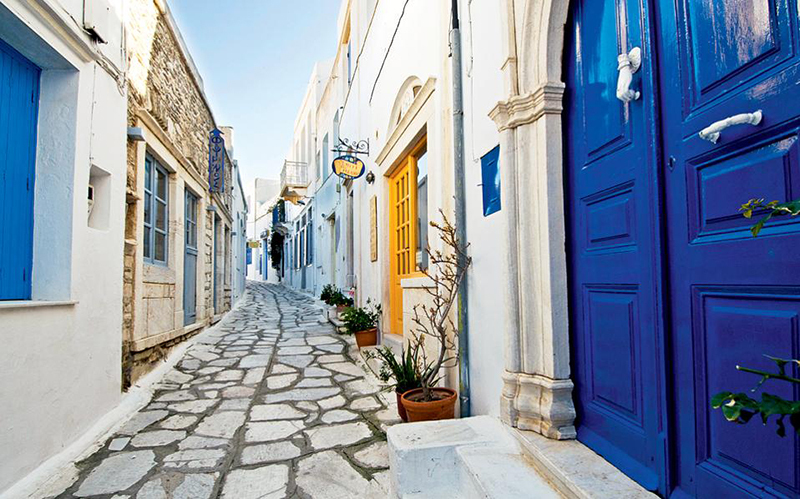 The village of Pyrgos, where most of the sculpting is done, is even referred to as the sculptors’ village. 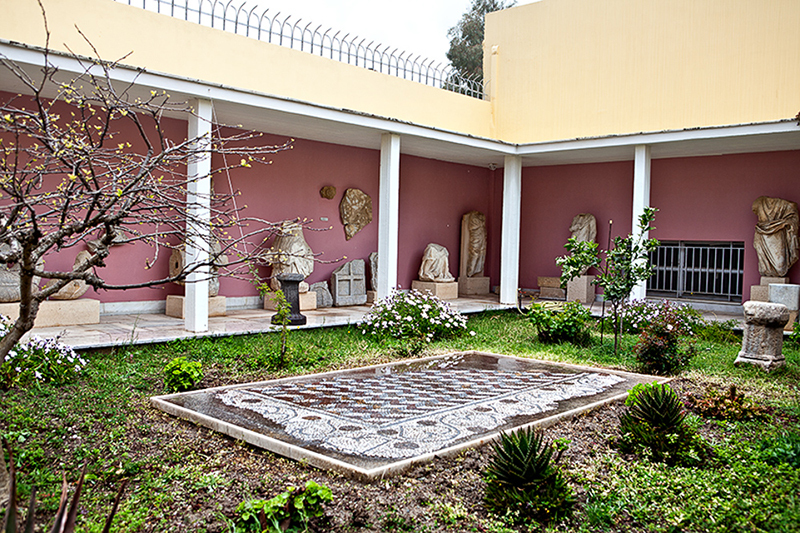 Sculptures from the village are displayed in the Museum of Marble Crafts, which is located on the slopes of Pyrgos village. The Tinian dovecotes are another extraordinary work of art in Cyclades complex. Tinos has hundred dovecotes scattered all over the island, which are intricately built using slate, limestone, and stone. They are also decorated with beautiful lithographic patterns, believed to be one of the reasons why doves are attracted to them. Doves fly in and out of these dovecotes, creating a lovely scene that will make your holiday memorable. Agios Ioannis Porto is another popular beach in Tinos Island, which is located about 7 kilometers southeast of Tinos town. Its deep blue waters, soft sandy shore, and the surrounding lush green vegetation creates a very scenic and relaxing environment. The beach is catered by a number of taverns and beach bars, which make it ideal for families. Several parties are also held at the beach, making it a great spot for all night long entertainment. 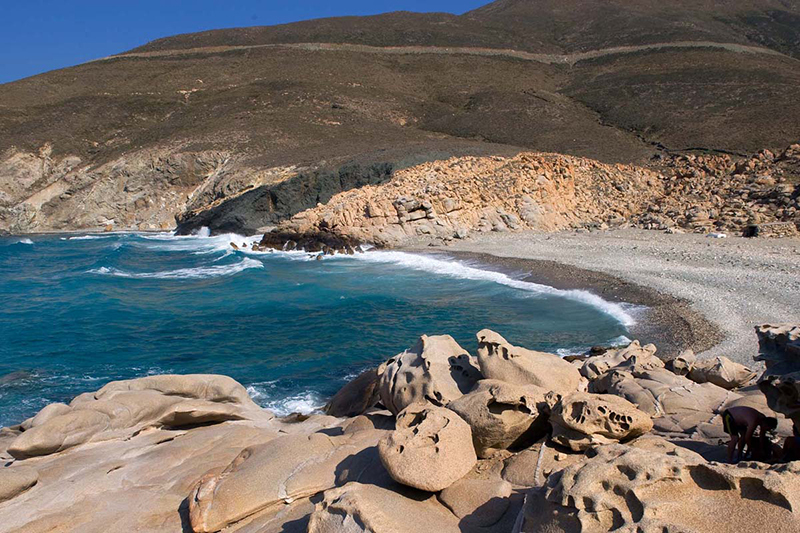 Panormos is a sandy beach located in the village of Panormos, about 34 kilometers from the town of Tinos. It is a nice, family-friendly, and a bit secluded beach. It is ideal if you prefer to swim and enjoy the warmth of the sun in quiet. At the beach blow also strong winds throughout the year, thus it is perfect for windsurfing and kite surfing. 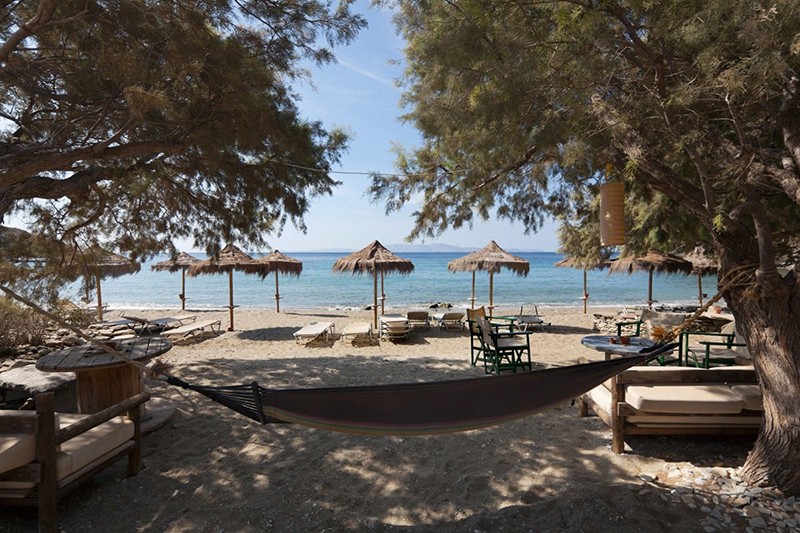 Kalivia is one of the most beautiful Tinos beaches, located in the southern coast of the island. It is surrounded by a natural bay, offering protection from the strong winds during the summer season. The shoreline is covered by a stretch of soft, clean, white sand. Also, it is surrounded by a long tuft of trees that provide a very good natural shade. The deep blue waters of the sea create a very relaxing atmosphere, ideal for people who love tranquility. Livada is a charming beach located about 5 kilometers from the main town, on the east coast of the island. It is popular due to the wild landscape that surrounds it, with sculpture-like white and green rocks. The rocky landscape provides a great diving platform. So, you will have the ultimate diving experience that will make your Tinos holidays memorable. 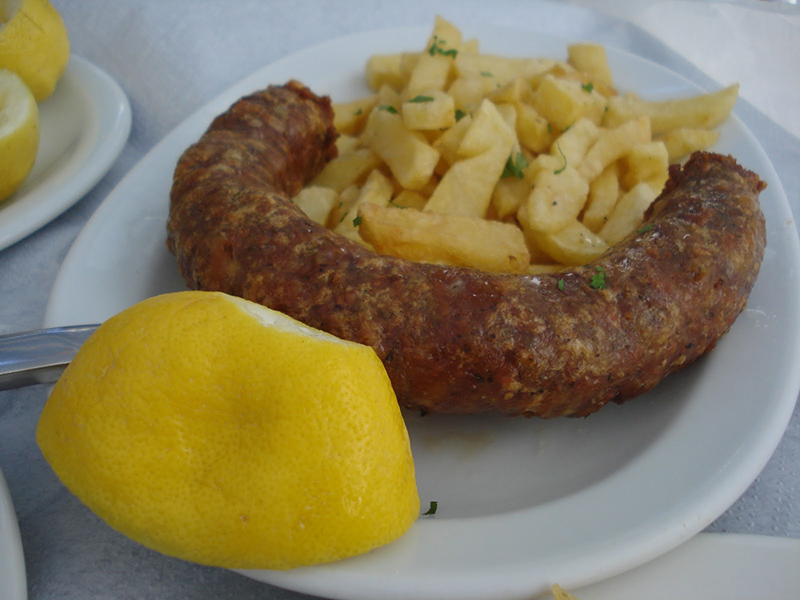 “Skordoloukanika” are popular sausages that are made from pork meat. The meat is first marinated with wine and garlic for about 4 hours. Then, it is stuffed into pig’s intestines to make the sausages. Finally, they are dried under the sun and wind, before being cooked and served. 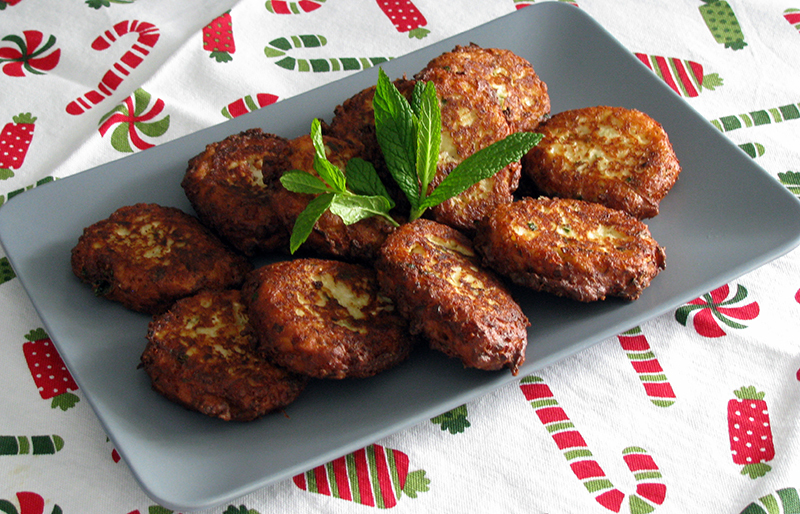 “Patatokeftedes” is a local Tinos dish that is made by mashing boiled potatoes. After they are boiled and mashed, they are mixed with oil, oregano, grated cheese, salt, and pepper. Finally,they are formed into round balls and deep fried in oil. 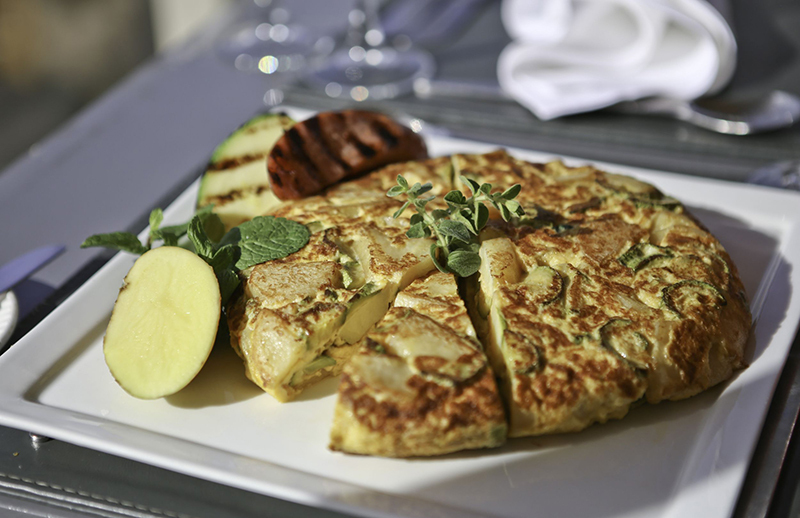 “Furtalia” is an omelet that is made using eggs, sausages, grated cheese, parsley, milk, and seasoned with salt and pepper. Other ingredients such as potatoes can be added to the omelet. “Xerotigana” are pasties that are made with flour that is mixed with lemon, oil and yeast. The mixture then becomes dough. The dough is formed into small balls that are rolled and then cut into thin strips. Those strips are tied into a rose shape. Then, they are deep fried in oil and served with cinnamon, honey and sugar syrup. 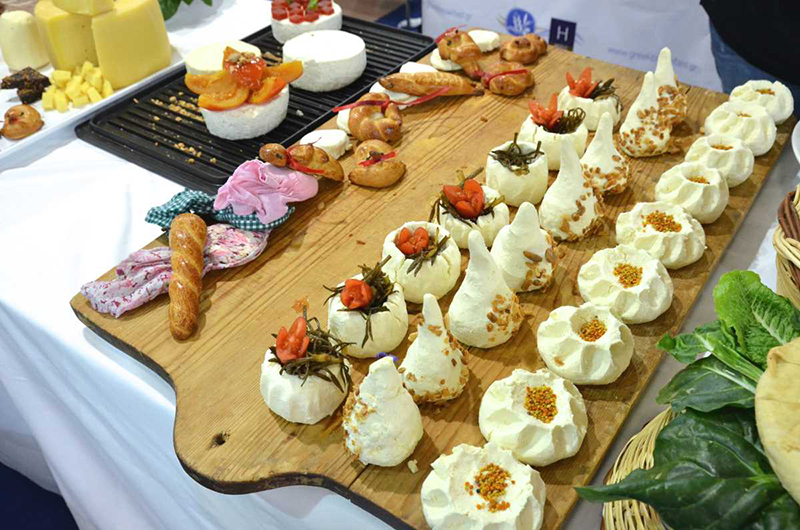 They are usually served at feasts and weddings, where they are accompanied by traditional Greek beverages. Tinos island is a great destination spot that exudes natural beauty. It is full of breathtaking landscapes, iconic buildings and structures, as well as several beaches that will make your Tinos holidays memorable. Previous Previous post: Delphi Archaeological Site, The Navel Of Earth In Greece!